एंजल Beats. 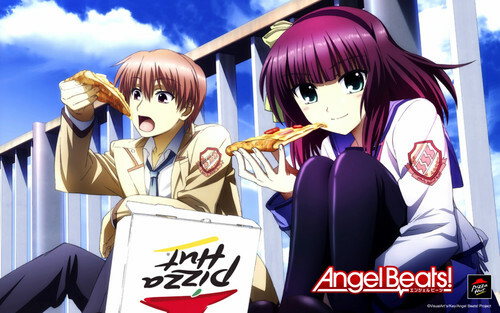 Sorry, but the Teenage Mutant Ninja Turtles already beat आप to the punch... in 8-bit, no less.. HD Wallpaper and background images in the ऐनीमे club tagged: anime angel beats pizza hut product placement lol. Sorry, but the Teenage Mutant Ninja Turtles already beat आप to the punch... in 8-bit, no less. This ऐनीमे wallpaper contains मोबाइल फोनों के लिए, हास्य पुस्तक, मंगा, कार्टून, एनीमे, कॉमिक बुक, and manga.